Is it possible to make money online? This is a question that many people ask me, and the second thing they say when I tell them that I have a website is, well how can that make you money? Unfortunately, the majority of people do not understand the power of the Internet and if you don’t understand, the power of the Internet, you may struggle to make money online. Firstly, it is possible to make money online, but you do need some basic training and secondly, if you can see the power and potential of the Internet, I believe that this will help you go along way and move your business quickly forward. Do you understand the power of the Internet? I believe that the Internet has opened up huge opportunities over the past few years, I have been working online for around twelve years now and I believe that we have more opportunities to make money online than we could have ever dreamed of a few years ago. Before having a broadband Internet connection, I just found the Internet frustrating and almost impossible to use with the old-fashioned dial-up connection. When I had my first broadband connection which gave me half a megabyte, (it may sound slow, but it was absolutely amazing after having a dial-up connection) the Internet opened up huge new Horizons and I saw the power and the potential of the Internet. Can you see the power of the Internet and can you get your head around the potential of the Internet? I can and I’m going to take full advantage of the Internet’s potential. Apparently, in 2015 3,200,000,000 people were using the Internet and this number is increasing all the time. Apparently, there are 7,000,000,000 people subscribed to mobile device subscriptions, the figures are staggering! I actually run a small local off-line business and although the business is doing well, I am limited to how far I can travel and how many people I can market to. The Internet opens up a potentially worldwide audience, it is possible to literally market to millions of people around the world and the people who are going online is increasing daily. So how can you make money online? There are many many ways to earn money online, my very first moneymaking website was a Google AdSense website, so in other words, I had Google ads on my website and I would be paid a commission which was dependent on how many people clicked on the ads, it worked for me. Google AdSense is a good way to start making money online, although you do have to have the right type of website and you need to have the right type of ads in the right place. I regularly earned 3 figures a month from Google AdSense on my first website, I also had other streams of income from it, but this was a regular boost to my income. I’ll explain more about Google AdSense in a separate blog post in the near future. Another popular way to make money online is through affiliate marketing, many companies now add affiliate programs amongst ways of promoting their products. Once you find your niche and make sure your niche is something that you are interested in, not just something that you think will make you a lot of money! If you don’t have an interest in your niche you will really struggle to make your business work. There are affiliate programs available for almost everything you can think of, the other day I carried out a search for affiliate programs for telescopes, (I have no interest in telescopes, but I just thought it would be interesting to see what affiliate programs were available). I was surprised at how many affiliate programs for this particular topic were available, so in general, whatever your niche, whatever your product, there is normally an affiliate program available. You can read more about affiliate marketing on another post that I’ve written here. Another good way to make money online is to publish a book, this is not something that I have done myself, but I know people have successfully published books and is something that I will be looking into doing in the future. Amazon has made it very easy to publish books, either on Kindle, as an e-book or as a hardcopy. An e-book could be used to promote your business or brand, you could potentially use it as a free gift or charge a fee but at the same time, it can promote your business. Apples iTunes is another way of also promoting your e-book. I recently heard of an 80-year-old lady who was successfully publishing her third book and apparently it was selling really well and her finances have been turned around. It’s always great to hear a success story. The third way to make money online and there are many more ways, which I will write about in future posts, is to sell your photographs. Many people today are able to take decent photographs on a mobile phone or digital camera, there are companies like https://www.shutterstock.com and https://www.istockphoto.com/ and more which allow you to sell them your digital photographs. It’s often difficult to find quality photographs online to use publicly, there are free photographs available the best photographs are the paid ones, I have purchased quite a few photographs for various websites etc. 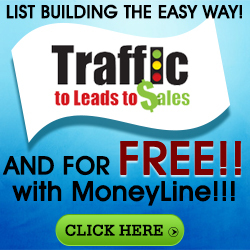 Are you going to start making money online? Like any business, it takes time to start making money, and an online business or off-line business does require dedication and hard work, but it will pay off in the long run. So are you going to start making money online? Please don’t leave it too long, if you have an idea try and put into practice, the quicker you start the quicker it will happen. I always recommend that people receive the right training, I am here to help you every step of the way. For the past 3 years plus, I’ve been a member of this Internet marketing site, this is something that I firmly recommend. In the early days, I did receive the right training and I was doing a lot of guesswork on the Internet, if you want to learn about making money online, take a look at my profile Roybretton here to learn more. You can sign up as a free member you can upgrade to a paying member at any time. And remember that in everything you do, have faith in God!